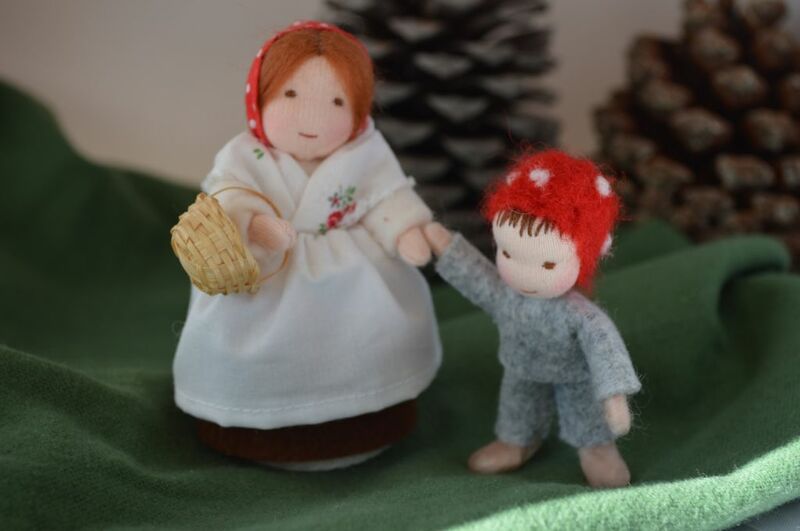 To celebrate the autumn and also to say thank you to all of you who follow my work I am giving away this Nature table set, a mother and son inspired by the lovely book Children of the forrest by Elsa Beskow. The only thing you have to do is leave a comment under this post or on my Facebook page, if you leave a comment on both that counts as two entries. 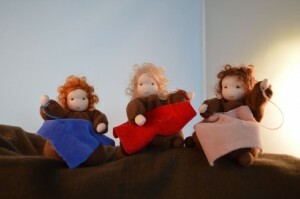 Also included is free worldwide shipping ! The winner will be randomly chosen on wednesday november 5th. 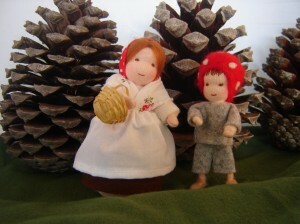 Inspired by the book The Children of the forrest I made this mother and child. I am planning to make a whole set for the nature table. 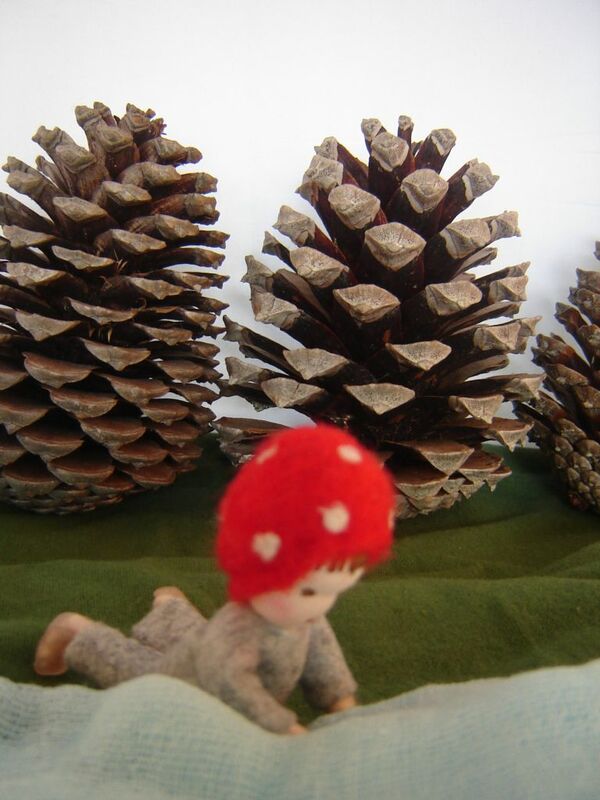 This nature table doll I made as a birthday gift to my sister. 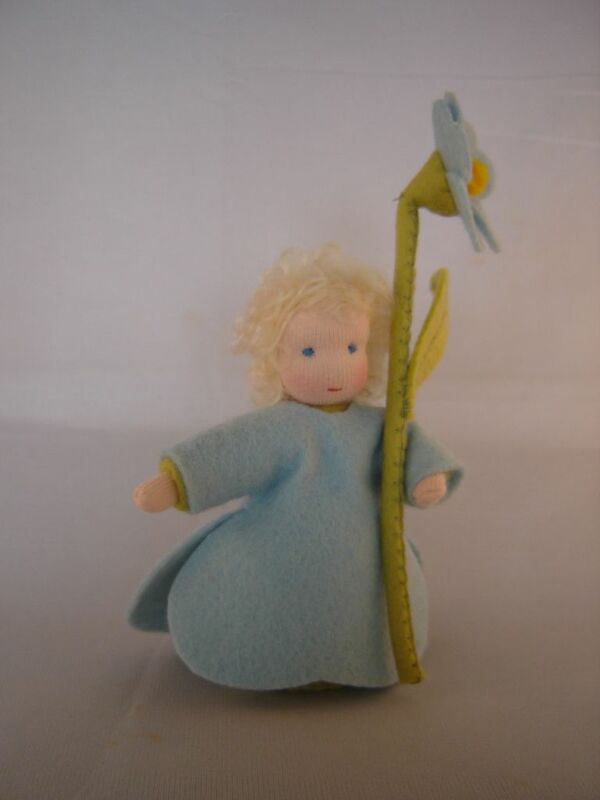 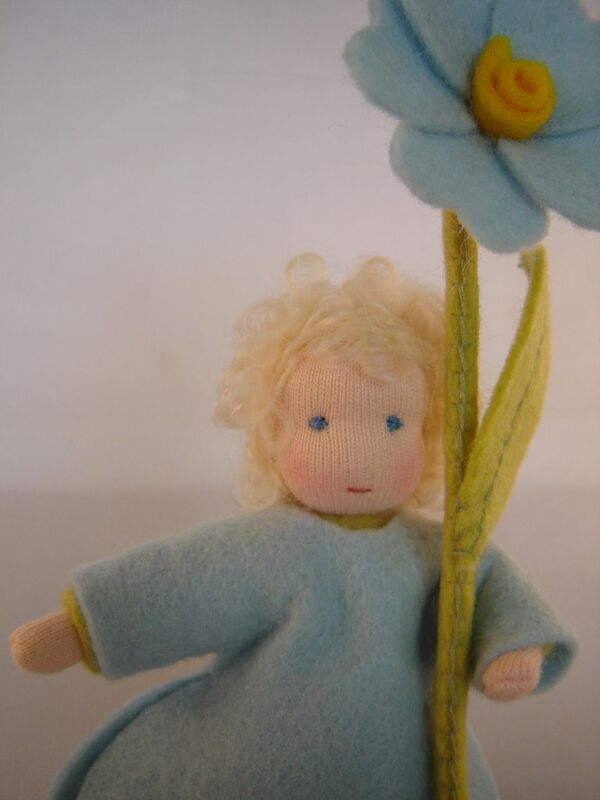 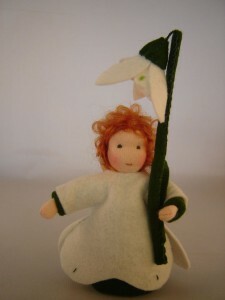 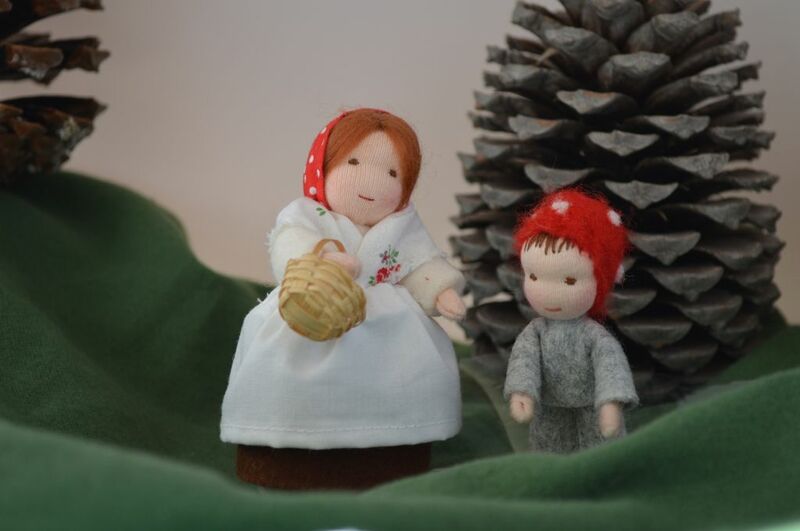 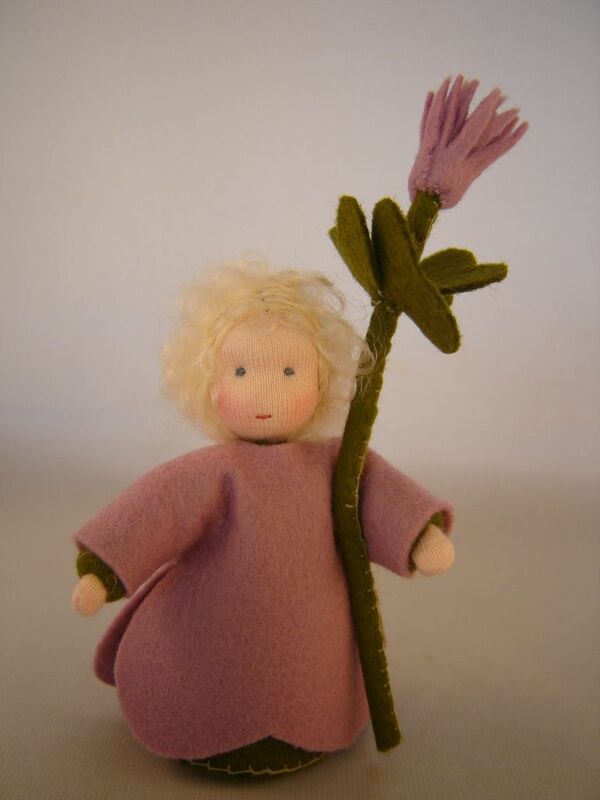 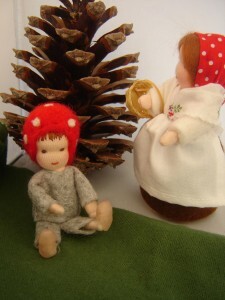 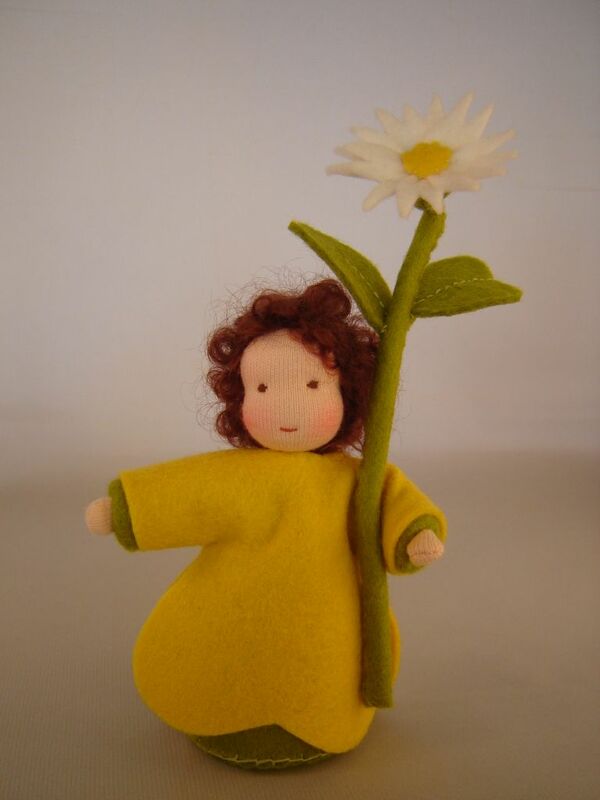 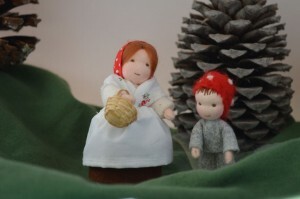 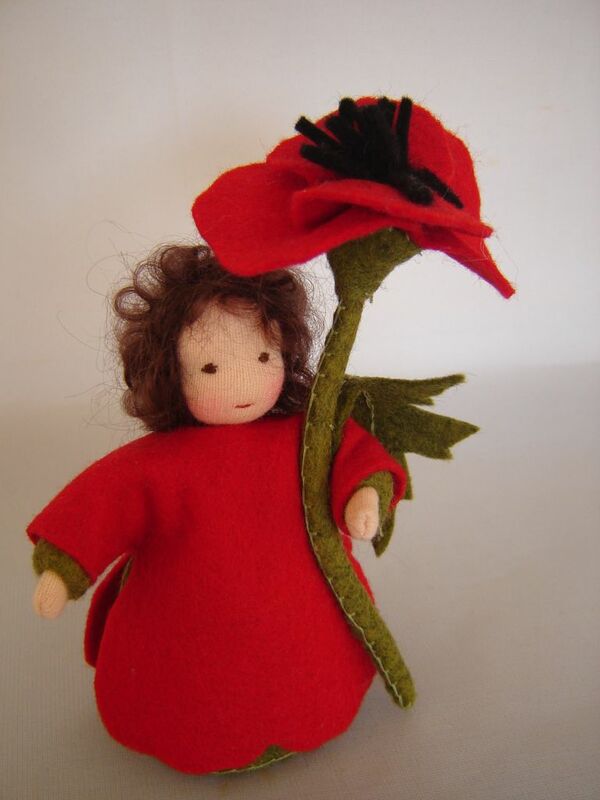 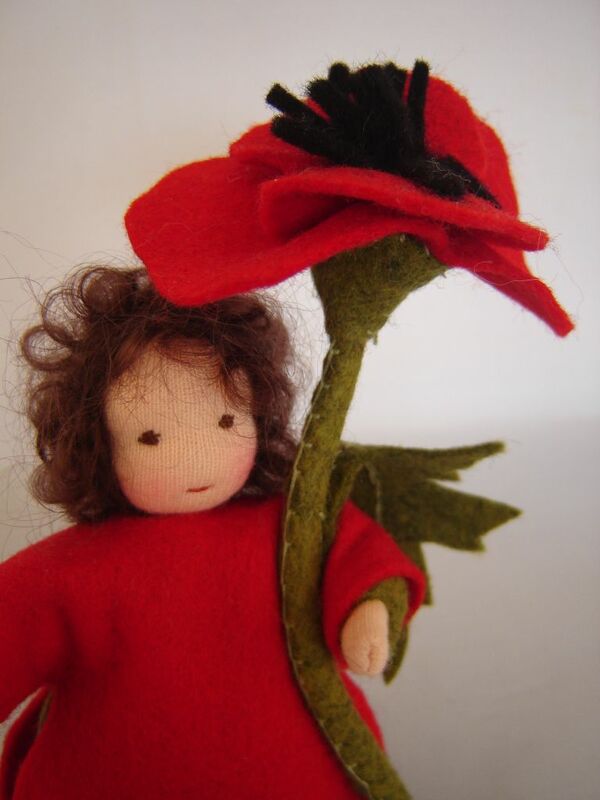 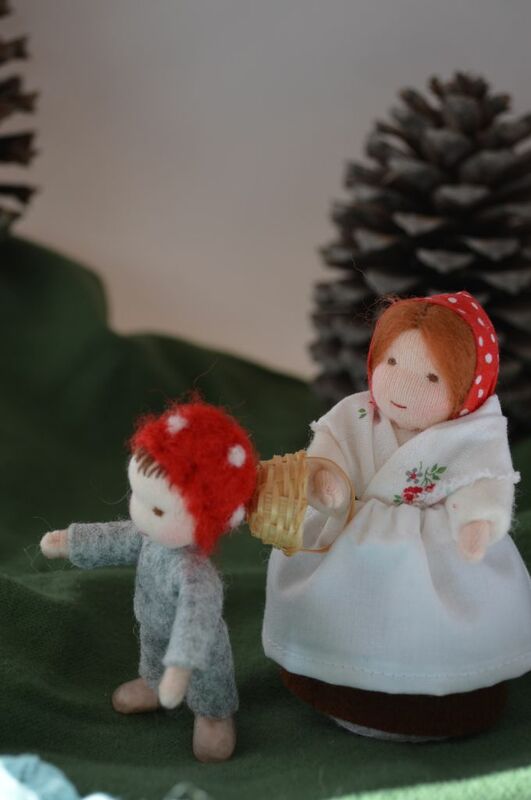 This litle forget-me not doll is custom made. 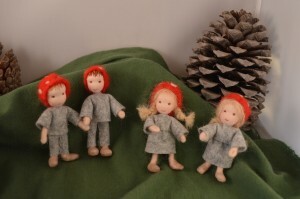 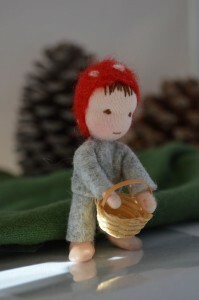 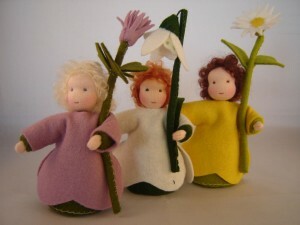 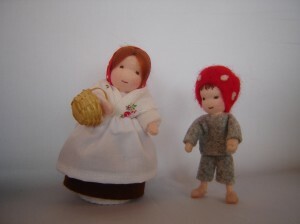 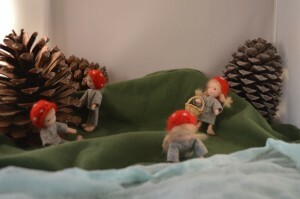 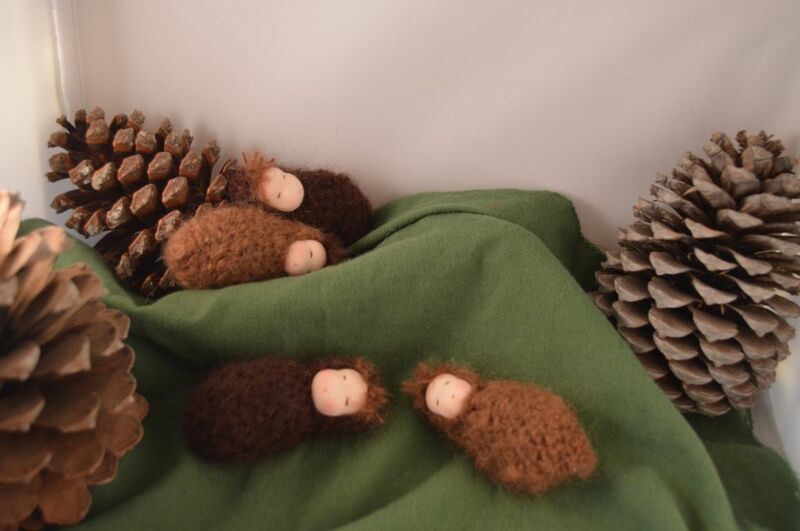 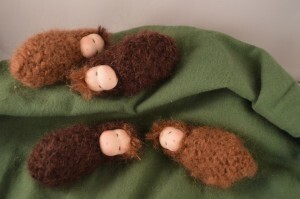 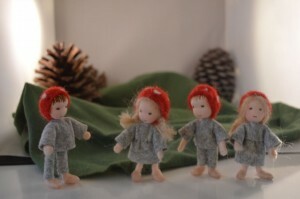 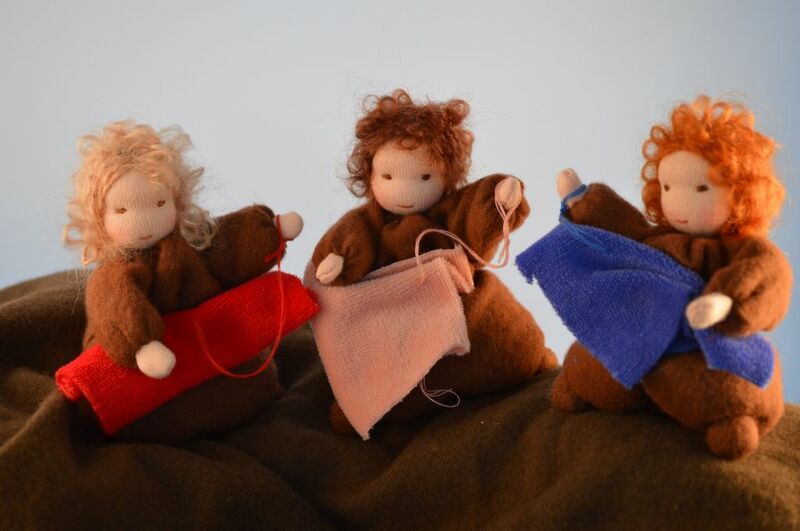 I was inspired by the book the rootchildren, the base of the doll is inspired by the pattern of Mieke Stender. The dress and the flower are my own design.